I just got back from BULGARIA . . . My first trip to this country in the very south part Eastern Europe was back in 1996. Since that time I have lost track of how many times I have visited this country. I have traveled and ministered from the Capital Sofia on the western part of the country to Varna on western part on the Black Sea. 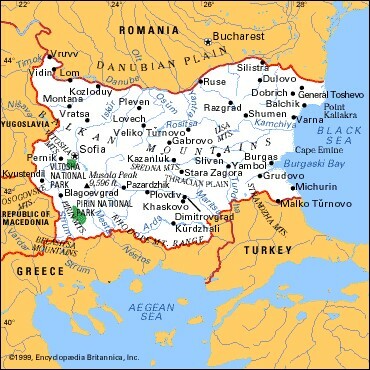 Bulgaria is one of our favorite countries to visit of the eleven countries we minister in. I have ministered in so many of the churches and visited many of the churches that we helped to start. We have started several Bulgarian Gypsy churches and they are always a challenge and so exciting to start. Our hearts always go out to the young people in these churches. I remember well one time ministering in one of these Gypsy Churches and the whole worship team was made up of young people. Young Gypsy guys and girls that were pouring their hearts out to God. The style of Worship was so different than a typical Bulgarian Church. I was thrilled to be a part of this church and to know that we have helped so many churches like this church to get started in so many of the countries of Eastern Europe. I remember when I was in another Gypsy church that we helped to start in the nation of Macedonia. As the church service started it seemed like there was so much chaos. You see, when people have never been to church before, they don’t know how to act. They had never been to something like this before. There were people walking in and out of the building, kids playing and talking, young people in the back of the building laughing and smoking cigarettes. But as the worship started you could sense the Spirit of the Lord in the place. The whole atmosphere changed! At the end of the service so many came forward to receive Christ. So we are excited to see another Gypsy Church starting in Bulgaria this Spring. We are seeing so many lives changed, so many families impacted, so many people with new hope. Even this week I talked to one of the key leaders we work with in Slovakia and we are going to help them start yet another of these Gypsy Churches there. PS. As you make your giving plans this year, we would ask you to prayerfully consider giving or increasing your giving to this ministry this year. Thank you so much.